Big, bold and bushy brows are here to stay. So if you were hoping the focus on furry face framers was going to die down soon so you wouldn’t have to fork out the cash to have yours tended to, it might be worth booking that appointment. 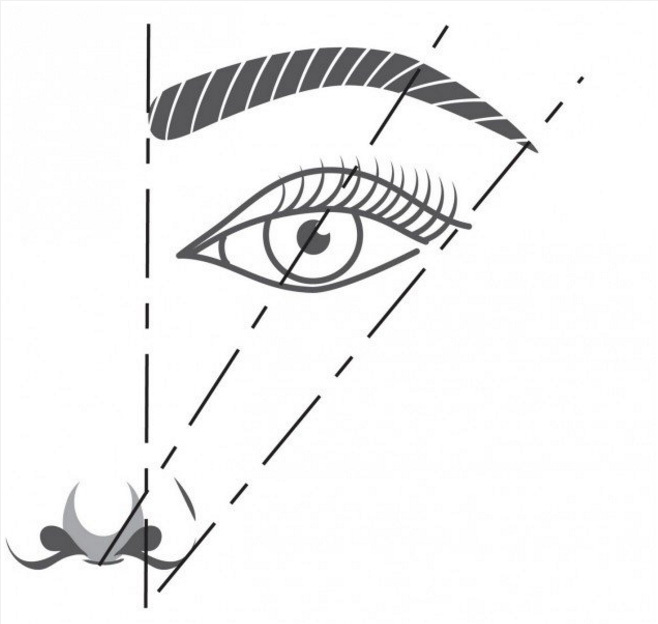 If you’re not sure where to even start when it comes to shaping your brows, there’s a quick and easy ratio rule that can help you out. Using your eyebrow pencil, line it up against your nose with the pencil upright. Once it’s in line with your brow, make a mark with your pencil as this is where your brow should begin. If that sounds like too much work (cough, lazy, cough) you can always try your hand at brow stencils (like Ardell Brow Perfection Stencils and e.l.f.  cosmetics Eyebrow Stencil). You simply pick the stencil that best suits your face shape, place it over the brow area and use your choice of pencil, powder or gel to fill in the shape. Yep, it may be hard to believe but spoons can be used for more than just scooping Nutella out of the jar - they can also be useful for defining your brow arch. 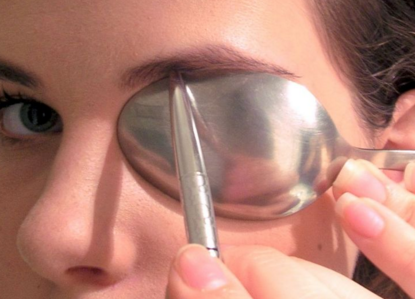 You just pop the spoon over your eyeball (eye closed of course) and follow the curved edge with a pencil to trace the underside of your brow. It can also act as a guide for which hairs can be plucked and which should be left. The golden rule for choosing which shade of eyebrow pencil, gel or powder to use has always been to go one to two shades darker than your hair colour. But these days it seems to be the bolder the better, so we dare you to go a little darker - especially if you’re blonde. Trust us, it can look amazing! Just check out these celebs who rock blonde hair and dark brows. If you’re scared to fill in your brows for the fear that they’ll look ‘drawn on’, use a spoolie to brush up the hairs and then fill in the gaps using short, hair-like strokes with a pencil. Once all gaps are filled, brush the hairs back into place with your spoolie. You’ll get rid of any sparseness, but your brows will still look natural. Ran out of your favourite brow product? No problem! Just grab a matte brown eyeshadow (or whichever shade is for you based on #2) and an angled eye brush. Run the brush under water and then blot on a towel so it’s slightly damp. Then use it to apply the shadow to your brow. WARNING: This technique creates a strong, bold finish so if you like something a bit more subtle, keep the angle brush dry and run over your brow with a spoolie to finish. If you don’t like the idea of ‘filling in’ your brows, or don’t have the time to be doing it every single day, a DIY brow tint is definitely for you. It can help them to look fuller and more defined, not to mention it will last for weeks. Check out bh’s Sam’s brows which she tinted using the 1000 Hour Eyelash and Brow Dye Kit in Dark Brown. Just make sure to apply Vaseline to the skin surrounding the eyebrow so you can easily remove the tint if it goes outside the brow area. Highlighting your brows can not only make them look more defined, but also give you an instant eye lift. Apply your highlighter underneath the arch of your brow to emphasise the shape, as well as in a v-shape from the top of the arch to the tail to add lift. If you don’t have highlighter, you can also use a light concealer - just make sure to blend it. Have you ever tried any of these tips? Do you know any other eyebrow hacks? Great tips! I'll try the spoon trick tomorrow. Wow didn’t know about the spoon trick. Might have to try that one day. Mum told me the ratio rule while I was busy plucking everything in sight when I was a teen , when thin was in! Eeeeeeeek I never listened but I remember it! now they have recovered mostly and I try to fill them in with a pencil, And I'm gaining confidence with it ! Haha I like the spoon idea. Don't overpluck/wax. My eyebrows are fine. Ratios are definitely key, I recently transitioned from brow powder to pencil and prefer it much more for a subtle everyday brow. Good tips, but I think I am better off going to a professional. I can do a bit of tidying, but I don't trust myself! I love the spoon hack. BH introduced me to what I call eyebrow mascara & love it because it keep my hairs in place rather than leaning over and look like old brows like my Dad. My brows are very pale so without some added colour they are impossible to see. A spoon never thought of that!! I can't believe I ever hated my thick brows as a teen. Now it's all I strive for and will never make the mistake of over plucking! I think the biggest brow lesson I've learned is not to follow rules at the cost of your natural gifts - generally the natural shape and thickness of your brows (not always, but often) is exactly what suits your face so don't beat 'em up for not being in fashion! The ratio rule is REALLy old school........ Even when I learned makeup 10+ years ago I remember the trainer said "no one really use the rule these days..."
I follow some of the tips to do my eyebrows. Always happy with my own result. Eyebrows are one thing on my face that needs least attention - except occasional plucking...but interesting article. Had never heard of trio rule before. I use 1000Hr Brow Tint. I've got one white brow hair on each brow. Brow Gels are great for adding volume for very sparse brows. Benefit Gimme Brow is great but pricey. Australis Tint My Brow & Face of Australia make good brow gels.